They’ve made their name abroad, but for the first time since establishing GROUND-ZERO in London in 2003, a pair of fashion designer brothers have returned home. 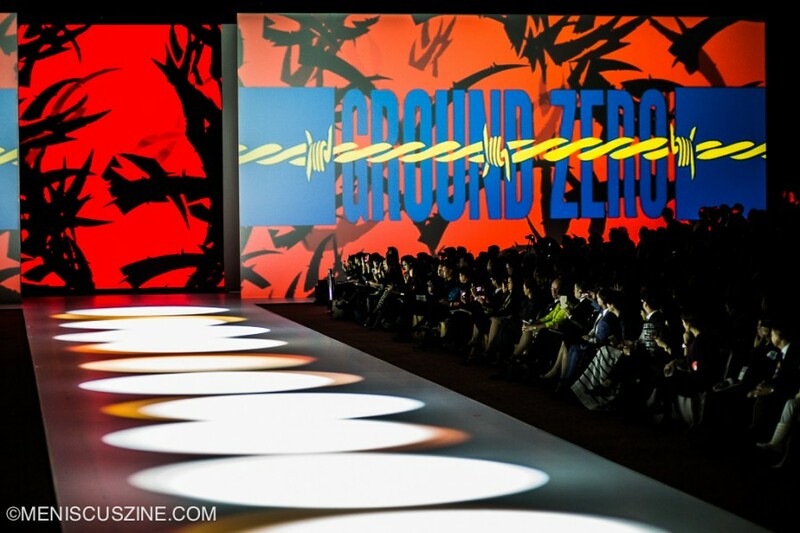 At their Hong Kong Fashion Week debut, Eri and Philip Chu presented a fierce, colorful melange of branding that drew from the brothers’ background in graphic design – a skill that has become a signature presence in all their work. 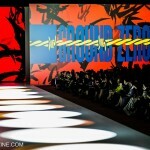 “The idea is to put street culture into ready-to-wear,” Philip Chu said in a promotional video screened before the show. 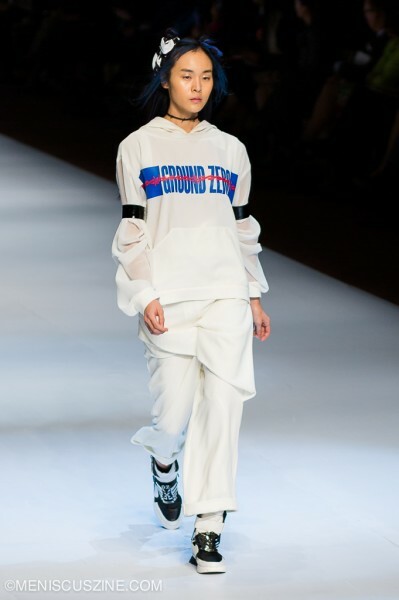 Resembling a motley crew of cartoon characters on a jailbreak, the brothers’ playful GROUND-ZERO Spring 2015 women’s collection was filled with exaggerated details. 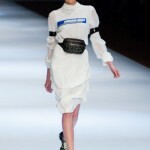 These included elongated shorts and skirts, studded fanny packs, prints depicting comic book cells and barbed wire, and wide shiny kimono belts.